What makes this story most intriguing when they told it to me is the fact that just the Monday before they had departed, our family held a family home evening lesson, given by my youngest son, Collin, on a talk by Elder David A. Bednar in October 2001 at BYU entitled “In the strength of the Lord”[i], which discusses how we need to ask to be able to adapt to each trial we have, rather than ask for it to disappear. This way, our dependence on the Lord increases and we grow in strength and faith. The amazing thing is, our children were listening! More importantly, both boys had received impressions or “feelings” from the Holy Ghost (Caleb to say a prayer and Conrad to recall a lesson learned) during a very stressful time and acted upon it. They had learned from this family home evening lesson and ultimately prayed to be able to endure, rather than have the trial disappear. One of the purposes of the Holy Ghost is to be able to bring to mind lessons that we learned from our lives which can help us grow and developed as children of our Father in Heaven. Learning to recognize these promptings from the Holy Ghost is not just a one-time experience. From the understanding of my sons, they had learned this from a very early age and all that celestial school work was now being applied into life’s practical application. After we have made the conscience decision to be baptized, we are given the gift of the Holy Ghost through proper priesthood authority. What is this “unspeakable gift” that is given to us (see D&C 121: 26)? How can this gift help us obtain true discipleship? As each of my own children has received the ordinance of baptism, it was my privilege to confer upon them the gift of the Holy Ghost. But like baptism, this decision to become baptized and receive the Holy Ghost was not an arbitrary decision by any of them. It was intentional, purposeful, and anticipated. It was an honor to speak with each of my children prior to baptism and receiving the Holy Ghost to help them understand 1. What is the purpose of the Holy Ghost? 2. What is meant by the word “comforter” spoken of in the scriptures? and 3. How does the Holy Ghost teach us truth, gospel principles and help us remember things that can strengthen our faith and testimony? “I will not leave you comfortless…. But the comforter, which is the Holy Ghost, whom the Father will send in my name, he shall teach you all things, and bring all things to your remembrance, whatsoever I have said unto you” (John 14: 18, 26). At a time where confusion and misunderstanding were so evident, what reassurance and comfort these words may have brought the remaining apostles. As a child, the doctrine of the Holy Ghost was a frightening one to me. For some reason, in my mind, the word association with “Ghost” gave me the impression of haunted houses, spooks, and things that go bump in the night. I could not have been further from the truth! For this reason I want to make sure that my own children, while they were growing up, understood exactly who the Holy Ghost is and teach them that it really can be a “comforter” when needed. The Holy Ghost is the third member of the Godhead. He is a personage of spirit and bears witness to all truth. Although there are many scriptural references to Him, most of the references call him a comforter, teacher, or a revelator (one that reveals the will of our Father in Heaven). In order to answer what the purpose of the Holy Ghost is, we need to start with what it says in the scriptures. The book of John from the New Testament answers this question very clearly. It says “But when the Comforter is come, whom I will send unto you from the Father, even the Spirit of truth, which proceedeth from the Father, he shall testify of me:” (John 15: 26, emphasis added). The Holy Ghost does testify of the reality of our Father in Heaven and Savior Jesus Christ. He reveals truth. I experienced this as a young missionary in Brisbane, Australia. I grew up in a devoted Latter-day Saint home where there was much love and where my parents could freely talk about the gospel. Family prayer, family home evening, and church participation was encouraged, healthy and robust. My Mom and Dad would, quite often as a matter of fact, testify to me and to the rest of my siblings that the Church was true and I can vividly remember how passionate they felt about personal prayer. These lessons were taught in my youth and stayed with me all during my teenage years. Yet, despite all of this available to me as a young man, I had never taken the time to actually pray about the Church or discover for myself if the church was true. My Mom and Dad would say that the Church was true; therefore I would say that the church was true. I leaned heavily on my parent’s testimony while growing up. That is, until I had a life changing experience while serving early on my mission. I had been out on my mission less than a week, when my companion, Elder Paul L. Clark and I knocked on the door of a Pentecostal minister. He welcomed us into his home, but immediately began to attack our beliefs. He made it very clear that he had no intention of ever becoming a member of the Church, but that he wanted to destroy the faith that we had in his attempt to try to “save” us. He asked us questions which I did not have the answer to and debated points of doctrine with us. Elder Clark tried to do the best he could knowing that I was a “green” missionary and that he was responsible for my training. I had never experienced anything like this before in my life, and unfortunately, I made the mistake of being shook up by his words. After several minutes, it was evident to all of us that this conversation was going nowhere, and we promptly left. Nevertheless, I was still troubled by many of the points that had been brought out and they kept going through my mind over and over again. After several minutes, in despair, I finally stopped riding my bike and Elder Clark came over, instinctively knowing that something was amiss, “what’s wrong?” Elder Clark asked. “I need to go back to the flat (the word “flat” means “apartment” in Australian) and spend some time alone” I said to him. Elder Clark, being so attentive to the Spirit, could sense the need I had and allowed me this special honor. When we got back to the flat, I immediately went into a private room where I could kneel in prayer and finally ask what I should have asked my Father in Heaven years earlier. Was the Church true? Were there REALLY prophets and apostles on the earth today? Was the Book of Mormon real and did Joseph Smith see what he said he saw. I began to quote from memory Moroni 10: 3-5, just to remind Him that I was sincere in my quest for knowing. Before I had even finished the quote, I knew….The Spirit testified to me that it was true, all of it. When I left that bedroom, I knew something that the Pentecostal minister didn’t know. I knew that the Church was true, and that it was the only true church on the face of the earth. The Holy Ghost testified to me of truth in a way that I could understand and build upon. And the best news of all is that this was not an isolated experience. It happened to me over and over again while serving a mission, especially as I needed it and continues to do so in my life today as I live worthily of His companionship. The Holy Ghost will testify to all. It is a key part of enduring discipleship. So, how does a person know when he or she truly has received a manifestation of the Holy Ghost? The person will know it by how he or she feels. The book of John from the Bible does a good job explaining what is meant by the term “Comforter”. It says: “But the Comforter, which is the Holy Ghost, whom the Father will send in my name, he shall teach you all things, and bring all things to your remembrance, whatsoever I have said unto you (John 14: 26). As in the story of my sons Conrad and Caleb, these “feelings” that come from the Holy Ghost can provide comfort at times of great need. I cannot think of a more appropriate title than “Comforter” when referencing the Holy Ghost. The term “Comfort” is generally something we all think of as being sorely needed when an event in our life is considered along the lines of a trial or tragedy. As indicated early on in this chapter, “comfort” was something that our Savior’s apostles were genuinely looking for shortly after His crucifixion. They received that comfort when the Savior appeared to them in the 24th chapter of Luke. There are other numerous examples of “comforting” found in the scriptures during times of grief. One such example is found in the Doctrine and Covenants when our beloved prophet Joseph Smith was a prisoner in the Liberty Jail. I can only imagine the heartache he must have been feeling knowing that his people were being wronged in every imaginable way. The members of the Church at the time were being mocked, ridiculed, robbed, plundered, cheated, and in some cases murdered, while he spent time in this cold, dark, damp, dreary, rat infested dungeon. Joseph’s health had taken a turn for the worse. He himself had been poisoned, abused, starved and beaten. Finally, at a time when he could take it no longer, the comforting words came: “My son, peace be unto thy soul; thine adversity and thine afflictions shall be but a small moment; And then, if thou endure it well, God shall exalt thee on high; thou shalt triumph over all thy foes” (D&C 121: 7-8). But the comforter does not need to come only during times of grief. As explained earlier, He comes to testify of truth, which in and of itself is a great comfort. How does the Holy Ghost work? While attending a Priesthood Executive Committee (PEC) meeting during the summer of 2013, all of us present in this gathering were discussing ways that we could reach out and help others that had chosen a different path and fallen into church inactivity. Most of these good people were located within one specific area of the Ward. The decision was made by the Bishop, Kevin C. Christensen, to say a special prayer that we would be able to decide what course of action our Father in Heaven wanted us to take. Time was then set apart to ponder over the idea and generate some thoughts. After a small amount of time, Brother Jeff Bingham, who was currently serving as a counselor in the Bishopric, said rather enthusiastically, “I have an idea!” A thought had just come into his mind, and he wanted to share it with all of those present. That is the way the Holy Ghost can prompt us if we take the time to listen. It will come to us as sudden ideas. Sometimes, if we are not listening, the impressions we get can be so subtle, so delicate, that the lessons that the Holy Ghost is trying to teach us may be overlooked. I love to use this example of attending this PEC when I teach Sunday School classes, especially when I am teaching the youth. So many times, perhaps in their hastiness, some youth have said that they have never felt the Spirit. Nothing could be further from the truth. My experience has led me to believe that many times, the youth have been inspired to do or say something, but they need to have these pivotal moments in their life pointed out to them and help them to understand that this is the Holy Ghost working through them. As a teacher of the Gospel, it is important that we help those that we teach make connections between what they are learning in class, and experiences that they have had in life and tying the two together. “As our teacher, the Holy Ghost can do three things for us in our efforts to learn. First, he can reveal new knowledge. The Doctrine and Covenants says, “If thou shalt ask, thou shalt receive revelation upon revelation, knowledge upon knowledge, that thou mayest know the mysteries and peaceable things” (D&C 42:61). If we do our part and can do no more, the Holy Ghost will add that “line upon line” to our understanding. We may even receive new insights that the world could not give. A second thing the Holy Ghost can do is to help us make connections. Like a chemist putting two different familiar elements together to create something new, we can be guided in our studies to make connections that will open up an entirely new possibility. A third way that the Holy Ghost can teach us is to bring to our mind forgotten things”[v]. I am sure that [your friends] interests and motives are pure. [They] have had some significant events in [their] lives that may explain why they do what they do. When people are exposed to tragedy, they instinctively are drawn into things that may or may not help them deal with their grief. I certainly don’t know all of the circumstances surrounding [your friends] lives or even their character. I only know them from what you have told me about them. But what I do know is that some time ago, they were baptized members of the Church and given the gift of the Holy Ghost, which is a wonderful blessing. I hope they understand this. As you know, following baptism, each of us had hands laid on our heads by proper priesthood authority to receive the gift of the Holy Ghost. If we are faithful, we can have His influence continually with us. Through Him, each of us can be blessed with certain spiritual powers called gifts of the Spirit. These gifts are given to those who are faithful to Christ. “All these gifts come from God, for the benefit of the children of God” (D&C 46:26).They help us know and teach the truths of the gospel. They will help us bless others. They will guide us back to our Heavenly Father. To use our gifts wisely, we need to know what they are, how we can develop them, and how to recognize Satan’s imitations of them. As you know, Caleb, there are many gifts of the Spirit. Most notable are The Gift of Tongues, the interpretation of tongues, translation, wisdom, knowledge, teaching wisdom and knowledge, believing the testimony of others, knowing that Jesus Christ is the son of God, etc. (See D&C 46 9-26 for a more thorough listing of gifts that are active in the Church today. There are, literally, too many to list on a single sheet of paper). It is up to each of us to develop these gifts ourselves, sometimes with the help of others. To develop our gifts, we must find out which gifts we have. We do this by praying and fasting. We should seek after the best gifts (see D&C 46:8). Sometimes patriarchal blessings will help us know which gifts we have been given. We must be obedient and faithful to be given our gifts. We then should use these gifts to do the work of the Lord. They are not given to satisfy our curiosity or to prove anything to us because we lack faith. Of spiritual gifts, the Lord said, “They are given for the benefit of those who love me and keep all my commandments, and him that seeketh so to do” (D&C 46:9). In these last days, Satan does all he can to satisfy our cravings for spiritual experiences. At times people will do desperate things because they feel compelled to do them. Satan uses this to his advantage and feeds upon the gullibility of people. Satan can also imitate the gifts of tongues, prophecy, visions, healings, and other miracles. Moses had to compete with Satan’s imitations in Pharaoh’s court (see Exodus 7:8–22). Satan wants us to believe in his false prophets, false healers, and false miracle workers. They may appear to be so real to us that the only way to know is to ask God for the gift of discernment. The devil himself can even appear as an angel of light (see 2 Nephi 9:9). Or, as in [your friends] case, allow us to believe that we are hearing the voices of departed loved ones through “white noise” or another form of media. Satan wants to blind us to the truth and keep us from seeking the true gifts of the Spirit. Mediums, astrologers, fortune tellers, and sorcerers are inspired by Satan even if they claim to follow God. Their works are abominable to the Lord (see Isaiah 47:12–14; Deuteronomy 18:9–10). We should avoid all associations with the powers of Satan. One thing we do need to remember, Caleb, is the sacred nature of these gifts. Many people like to talk freely about experiences that they have had with the Spirit. That can be a great blessing to many people. However, there is a line between what is appropriate to discuss and what is not. For example, the Lord said, “A commandment I give unto them, that they shall not boast themselves of these things, neither speak them before the world; for these things are given unto you for your profit and for salvation” (D&C 84:73). We must remember that spiritual gifts are sacred (see D&C 6:10). There are other scriptures that I can show to you as well Caleb if you should ask about not talking openly about sacred events or experiences in our lives. In return for giving us these gifts, the Lord asks that we “give thanks unto God in the Spirit for whatsoever blessing [we] are blessed with” (D&C 46:32). 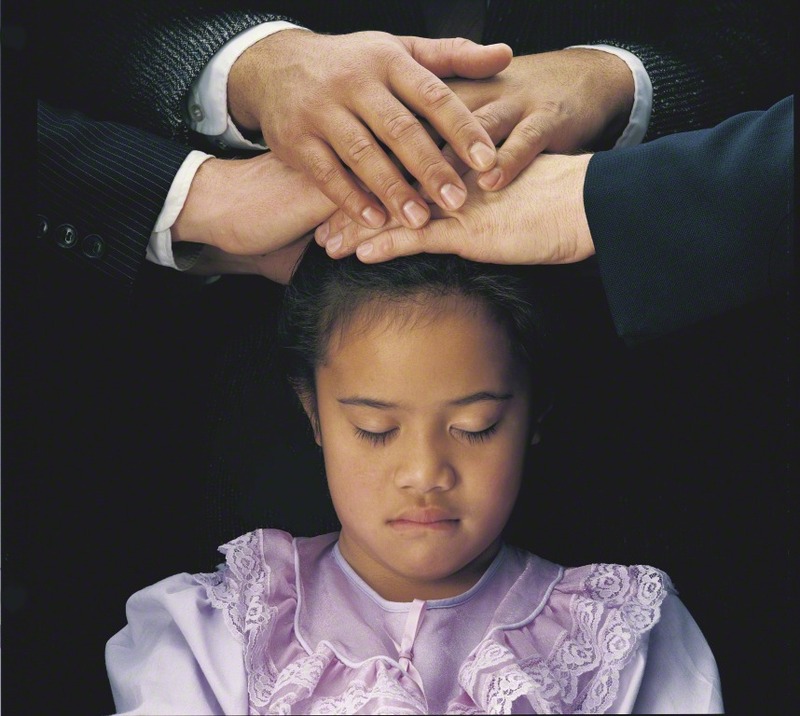 President Joseph F. Smith once said in General Conference the following which may give you some additional insight: “From the days of Hiram Page (D&C 28), at different periods there have been manifestations from delusive spirits to members of the Church. Sometimes these have come to men and women who because of transgression became easy prey to the Arch-Deceiver. At other times people who pride themselves on their strict observance of the rules and ordinances and ceremonies of the Church are led astray by false spirits, who exercise an influence so imitative of that which proceeds from a Divine source that even these persons, who think they are “the very elect,” find it difficult to discern the essential difference [Matthew 24:24]. Satan himself has transformed himself to be apparently “an angel of light” [2 Corinthians 11:14; 2 Nephi 9:9]. “When visions, dreams, tongues, prophecy, impressions or any extraordinary gift or inspiration conveys something out of harmony with the accepted revelations of the Church or contrary to the decisions of its constituted authorities, Latter-day Saints may know that it is not of God, no matter how plausible it may appear. Also they should understand that directions for the guidance of the Church will come, by revelation, through the head. All faithful members are entitled to the inspiration of the Holy Spirit for themselves, their families, and for those over whom they are appointed and ordained to preside. But anything at discord with that which comes from God through the head of the Church is not to be received as authoritative or reliable. The gifts of the Spirit and the powers of the holy Priesthood are of God, they are given for the blessing of the people, for their encouragement, and for the strengthening of their faith. This Satan knows full well, therefore he seeks by imitation-miracles to blind and deceive the children of God. Remember what the magicians of Egypt accomplished in their efforts to deceive Pharaoh as to the divinity of the mission of Moses and Aaron…” (Messages of the First Presidency, Vol. 4: pg. 285, emphasis added). I am glad that [your friends] feel close enough with you that they can confide these matters to you. I hope this answers your question to some degree. Please write and ask if you need further clarification. I love you. How grateful I am for this wonderful and important gift that our Heavenly Father provides for each of us. How thankful I am that through the Holy Ghost, we can know with assurance that our Father in Heaven lives, that Jesus is the Christ, that the priesthood and His church has been completely restored to the earth. Conversely, without the Holy Ghost in our lives, we would be filled with doubt, we would not be able to have peace or be comforted, nor would we be able to pray effectively. We would not be able to testify and help bring others into the Gospel of Jesus Christ. We would stagnate and atrophy in our personal growth and spiritual development. It is my prayer that each of us may live our lives in such a manner that we can enjoy the full comfort, reassurance, protection, and numerous gifts that the Holy Ghost can provide for us all. And by the power of the Holy Ghost ye may know the truth of all things (Moroni 10: 3-5). [i] “In the Strength of the Lord”, Elder David A. Bednar, 23 October 2001. This talk was given while Elder Bednar was President of BYU-Idaho at a devotional at Brigham Young University. [ii] “Personal Revelation: The Gift, the Test, and the Promise”, President Boyd K. Packer, October 1994 General Conference. [iii] “Revelation in a Changing World”, President Boyd K. Packer, October 1989 General Conference. [iv] The Teachings of Spencer W. Kimball, ed. Edward L. Kimball (Salt Lake City: Bookcraft, 1982), pg. 114, emphasis added. [v] “The Holy Ghost: Our Infallible Guide”, Sister Sally T. Taylor, BYU Devotional, November 5, 1996. Sister Taylor was a BYU Professor of English when this devotional was given.